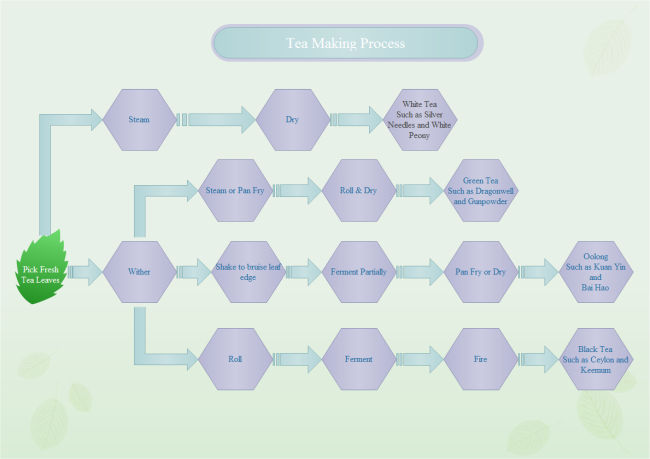 Description: Here is a simple tea making flowchart example created by Edraw Max, which is available in different formats. You can download this free flowchart template as a free sample that will help you to design flow charts effortlessly. Shapes can be generated and connected automatically.